HomeBlogCar AccidentsWhat’s the Safest Way to Pass a Truck on the Freeway? What’s the Safest Way to Pass a Truck on the Freeway? Do you ever get nervous and grip that steering wheel just a little tighter, if you drive past a large truck on the freeway? Well, your worry may be warranted because more than 250,000 crashes occur each year between passenger cars and large trucks. Large trucks—18-wheelers—often weigh 20 to 30 times more than a passenger car. And they’re longer, which means that their drivers’ blind spots are bigger. Therefore, truck drivers need more space to maneuver, and more time and distance to stop. That alone may encourage you to give trucks more distance. But according to Popular Mechanics, here are some other techniques can reduce your risk of an accident. Trucks cannot see cars tailgating or following too closely in their rear blind spot, and car drivers cannot see traffic ahead of the truck. If a truck needs to stop abruptly, you are more likely to be in a rear-end collision. Pass from the left lane to maximize visibility. Keep speeds consistent. Speeding past a truck and then slowing down once you are in front of it gives the truck driver minimal time to compensate. Do not pull in front of a truck until you can see the cab of the truck in your rear-view mirror, and you have ample space between your car and the truck. Avoid the three-lane pass. 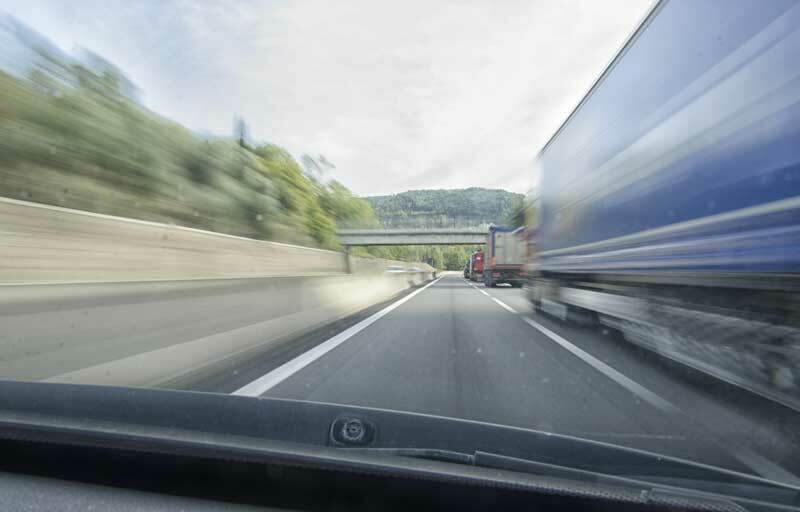 When a car in the far left lane passes in front of a truck to get to an exit ramp, the car may not know what is on the other side of the truck and could cause an accident. In addition to these tips, always practice safe driving—no matter who else is on the road. But crashes can still happen. If you’re involved in an accident, contact the John Kelly law team to help you get back on the road to recovery.